The best prices for this B&B, will not be bettered anywhere. 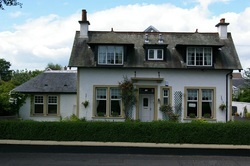 Family run quality accommodation in Stirling, Scotland with all rooms en-suite shower, WC, washbasin & Free Wi-Fi. We are minutes from the City centre. Stirling University, Stirling Castle, Wallace Monument and many more attraction in central Scotland are within easy reach. Stirling Rugby Club - a popular function venue - is a short walk, Edinburgh & Glasgow are a short train ride from Stirling.